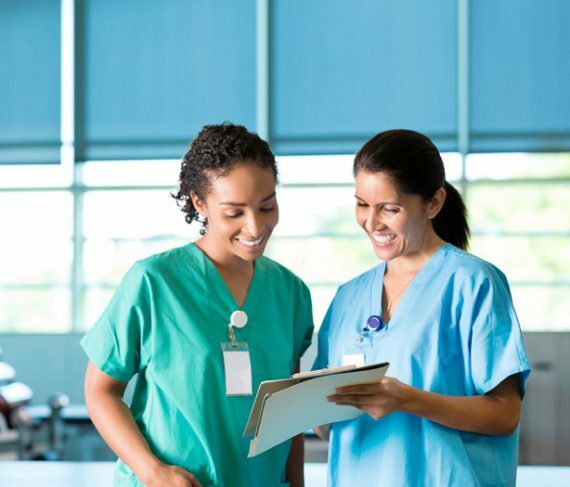 According to the Bureau of Labor Statistics, employment of registered nurses is projected to grow 15% through 2026, much faster than the average for all occupations. Registered nurses, and advanced practice nurses are currently and will continue to be in demand in a variety of health care settings. USU offers in-demand degree programs that will help nurses enhance their knowledge – and capitalize on opportunities. Students can learn at their own pace through online courses supported by USU’s distinguished nursing faculty. USU faculty and staff provide support throughout the life of the program and beyond, to ensure each student succeeds in their mission to advance their career. The baccalaureate degree program in nursing at United States University is accredited by the Commission on Collegiate Nursing Education (http://www.ccneaccreditation.org). The master’s degree program in nursing at United States University is accredited by the Commission on Collegiate Nursing Education (http://www.ccneaccreditation.org). Some of the highest predictors for employment growth are reported to be in the health science fields. Health science degrees prepares the graduate to assume a variety of roles within clinical and non-clinical settings. The Center for Health Workforce Studies found that, consistent with findings from previous analyses of Bureau of Labor Statistics projections, although the employment growth in all other sectors declined, jobs in healthcare will continue to grow between 2010 and 2020. Students who earn health science degrees can work in a variety of health care industries and advance their careers by using the essential healthcare knowledge and skills learned such as critical thinking, problem solving, leadership, information literacy and information management. Since the healthcare industry is experiencing dynamic growth, the need for healthcare managers, educators and specialists have never been more critical. USU offers affordable health sciences degree and certificate programs for students seeking rewarding and successful careers in healthcare. Whether you are a full-time student or a working professional, USU’s flexible schedules, online coursework and responsive faculty will help you achieve your educational and career goals.